Eugene Field Park | ENCAP, Inc. 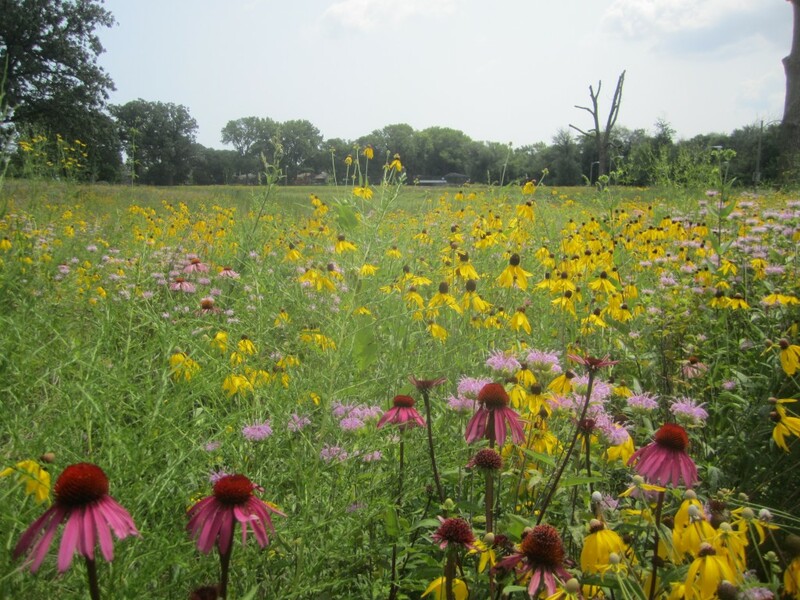 In 2010, ENCAP, Inc. entered into a contract with the US Army Corps of Engineers to complete a total rehabilitation and naturalization of Eugene Field Park in Chicago, IL. Located on the Northwest side of Chicago off of Foster Drive, the project site included a degraded turf grass park area subject to flooding and included a portion of the North Branch of the Chicago River that flowed through the project. The existing ball fields and walking path on site were demolished and a 2 acre wetland constructed on the west portion of the project site. The adjacent areas on the west side of the property were planted to wet and mesic praire with the preserved oaks restored with an oak savanna planting mix. The north bank of the segment of the Chicago River on site, was regarded to provide additional floodplain habitat and provide a shallower bank. Two rock riffles were constructed within the river to provide grade stabilization and habitat for aquatic species and fisheries. The existing ball fields were raised out of the floodplain and restored to provide a unique mix or active and passive recreation, in addition to a new walking path that served to segment the portions of the project and to provide access through the native planting areas. The project was completed with construction in 2011, with plantings ongoing into 2012, and final completion including establishment activities and maintenance in 2014.